The Music Information Centre Lithuania released its first vinyl record – a split LP featuring “Twentytwentyone” (Arturas Bumšteinas, Antanas Dombrovskij, Lina Lapelytė, Vilius Šiaulys), and “DIISSC Orchestra” (Martynas Bialobžeskis, Antanas Jasenka, Vytautas V. Jurgutis, Jonas Jurkūnas). This release dedicated to experimental electronic music was produced in collaboration with the Polish label Bôłt Records, who specialize in post-Eastern European electronic music scene and practices. The album producer Gailė Griciūtė came up with an idea to have a split LP with “Twentytwentyone” and “DIISSC Orchestra” side-by-side. Despite their aesthetic differences, with “Twentytwentyone” basing their performances on sonic realisation of graphic scores and moving images, and “DIISSC Orchestra” combining high and low-tech, using stopwatches, CD players, old-school Venta synthesizers, and malfunctions of audio equipment, the producer managed to identify the link between the two collectives. Both groups once represented the vibrant, deeply conceptual, creative and performance-oriented Lithuanian experimental music scene. While the members of both quartets parted their ways, individually they continue to develop new artistic outlets, and frequently collaborate with other creative collectives. “Perhaps it was these two elements, on the one hand a classy split album with a retrospect of experimental electronics, and on the other, the personalities of eight successful composers and/or sound artists, that attracted our partners from Warsaw – the Bôłt Records. These eight individuals – intense, and diverse in their aesthetic and creative inclinations – have imbued the album with foundational strength and enduring value”, says the Centre’s Director. The album has already received positive feedback from across the Atlantic. The latest review on Chain D.L.K, a New York-based news platform for electronic, industrial, ambient and experimental music, called the album “a polished package that will appeal to lovers of electronic avant garde”. The author of the review, Stuart Bruce, draws attention to the electro-acoustic interpretations of Cornelius Cardew’s graphic score “Treatise” presented by “Twentytwentyone”, and their display of sci-fi soundtrack flavours, long and tuneful industrial drones, incomprehensible soft percussion noises, as well as noise-heavy, and sharp-edged episodes. 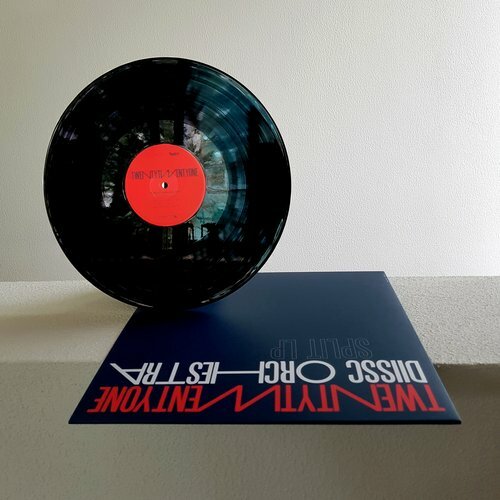 The “DIISSC Orchestra”, according to Bruce, oscillates between gritty industrial noise and slow organ chords and drones, between pulsations of unpredictable patterns and ambient soundscapes. Twentytwentyone + DIISSC Orchestra: Split LP was supported by the Lithuanian Council for Culture and Association LATGA. 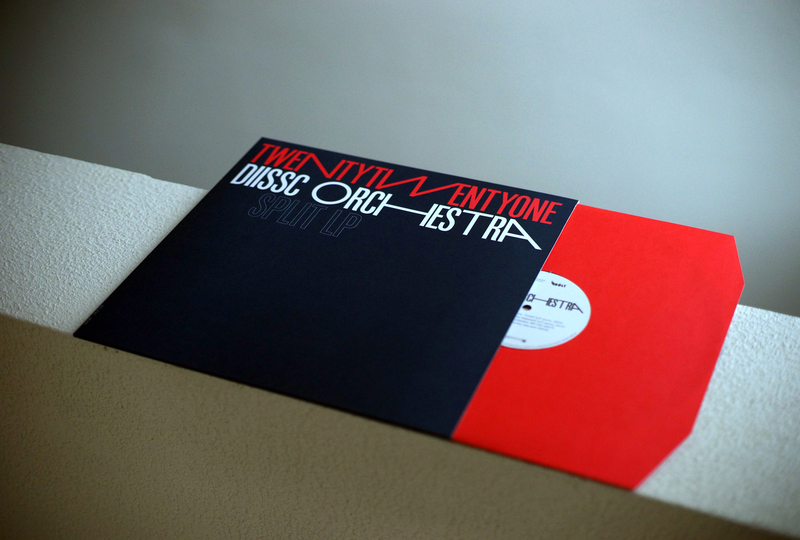 Twentytwentyone + DIISSC Orchestra: Split LP is available for purchase online at our eShop. The online shop accepts all major credit cards, including: Visa, MasterCard, Maestro, American Express and PayPal. More details can be found here.